We've worked out an exclusive deal for our members to bring you this product at a price lower than what everyone else pays anywhere on the internet! The definitive answer to correct lip-sync error for up to four sources! Even if you haven't consciously noticed lip-sync error (we avoid this impossibility by subconsciously looking away) b]research at Stanford University[/b] discovered it causes a negative impact on our perception of the characters and story. 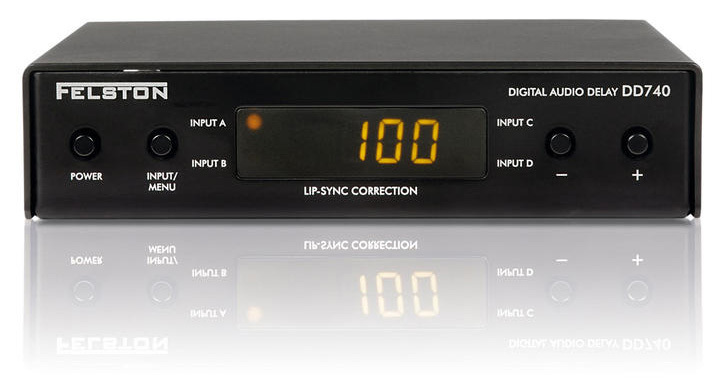 The delay unit is inserted in the digital audio path between your video source (DVD/Blu-ray disc player, DVR, etc.) 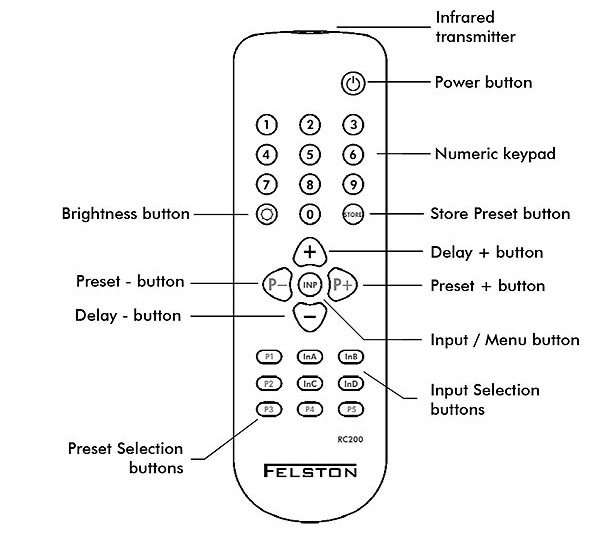 and your AV receiver as in the diagram above. Since the DD740's "bit-perfect reproduction" does not change the digital audio signal, it is compatible with PCM and all present and future s/pdif surround sound formats at both 48 KHz and 96 KHz. But my amplifier only has an optical input! Yes. In fact the DD740 can delay any s/pdif digital audio (coax and optical) format that is used today, i.e. Dolby Digital, DTS, Dolby Digital EX, DTS 96/24, PCM, etc. Yes! All that is needed is a low cost, third-party analog-to-digital converter. This simply connects between the analog audio source and the DD740. Such a converter costs about US$40 (25GBP) or less depending on your location. 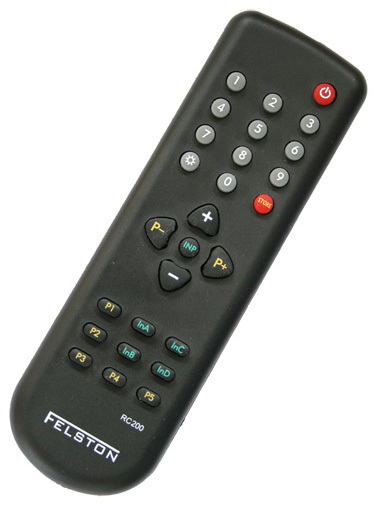 For reviews/testimonials see our Felston DD740 order page.